The Tapered Molding Plane Iron Blanks (O1 Tool Steel, unhardened) offered are designed to cover all the widths necessary to create a full set of Hollows and Rounds (18 pairs). All are 8" (20.32cm) long, have a bit length of 2-3/16" (5.55cm) and are tapered from 1/8" (3.17mm) to 1/16" (1.58mm) over the total length of the blade. 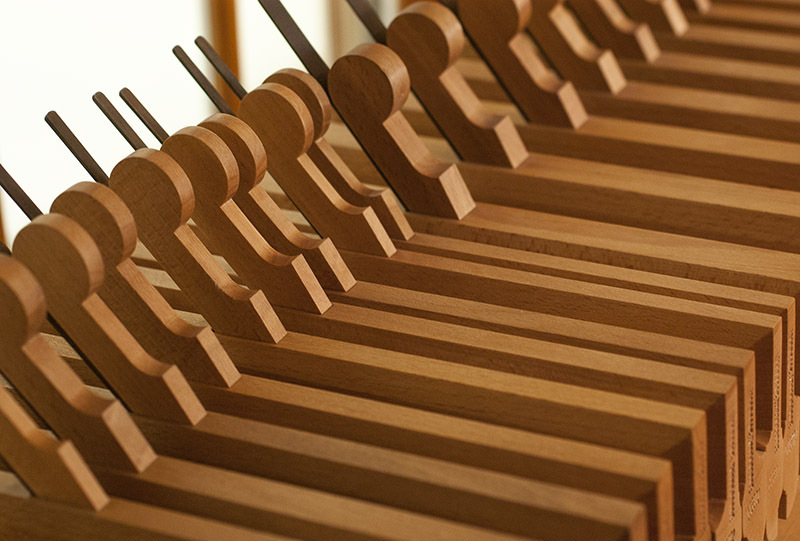 For information on how to choose the correct blank size, please refer to Larry William's article: The Sizing and Numbering of Hollow and Round Planes. For proper fitting techniques, we recommend Larry's DVD: Making Traditional Side Escapement Planes. A selection of Rabbeting Plane Iron Blanks, with the tang centered, are also available for creating traditional rabbeting planes.